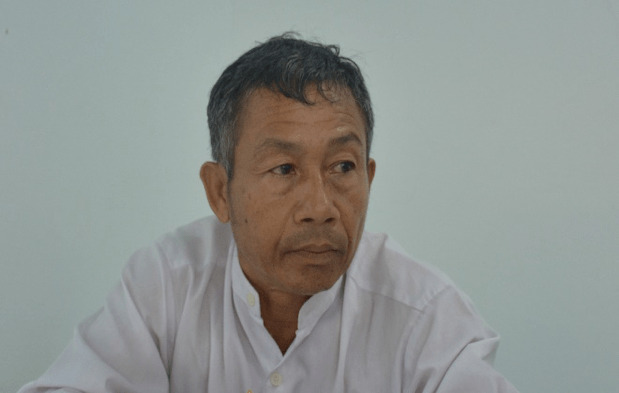 The majority of people in Myanmar, in common with many other countries, cannot, or do not, use the formal justice system to address their grievances and injustices. Multiple research points to the central role that the ward and village tract administrators (W/VTAs) play in dispute resolution. While many W/VTAs have had previous experience with dispute resolution, few have received any formal training to help them in this aspect of their role. It is in this context that MyJustice has partnered with Mercy Corps to provide capacity development for W/VTAs and other selected township officials with respect to their role in resolving disputes at the local level. The programme has already trained (in partnership with UNDP) all 84 women W/VTAs and 1185 Deputy Staff Officers (GAD) including 461 women officers across the country on dispute resolution. 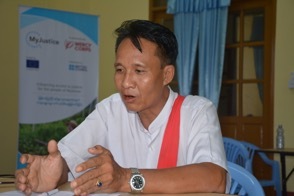 Going ahead, the MyJustice and Mercy Corps partnership seeks to provide sustained capacity development support to 200 W/VTAs in five townships in Mandalay Region, Mon State and Kayin State. The overall objective of the programme is to empower these local officials to improve their conflict resolution skills and delivery of justice services. In my ward, the population is over 4000 people, with 800 household listed as living there. The majority of the population is Muslim, with a few Buddhist and Hindu families, but only one Christian family. The main conflicts stem from land disputes, but there are also social disputes, financial disputes such as debt and loan problems, marital disputes, and some vehicle accidents. Recently, I heard of a case concerning four young Muslim men that had stabbed a soldier whilst he was on duty. The soldier had been accused of sexually harassing a Muslim girl. One of the Hundred Household Leader’s and an office clerk from my ward reported the incident to me via telephone. At the time, I was away from the township and so I gave instructions to my office to inform to the police. The police arrested one of the culprits, who received a detention sentence for committing the crime, but the other three men managed to flee. I regularly get asked to resolve financial disputes, even though I’ve put a signboard on the wall of my office that says, “I don’t solve any debt or loan problems”. People borrow money from loan sharks based in other wards, at high rates of interest – often at least five or ten percent. If people are unable to pay the money back to the loan shark, problems occur, and that is usually when they come to the Ward Administrator’s office. The loan sharks also come to my office themselves in order to get their money back. For example, borrowers only pay back the loan shark 20,000 kyat a month, even though they were supposed to pay 10 lakh [1 million kyat]. However, the loan shark has to accept the money, as they are afraid that they won’t receive any money at all. If I am unable to resolve a debt or loan problem, or I am faced with a dispute such as a car or motorcycle accident, I tell them to go to the relevant government department, such as the police. The main problems I deal with are marital disputes. For example, there is a couple in my ward that are close to getting divorced, as the husband doesn’t want to live with his mother-in-law any longer. I am responsible for finding a solution. I also cooperate with other ward administrators when they make a request for my advice to help solve a particular case. When I try to resolve disputes, I give each party the space to present their case, and then I present them with options for a better agreement. I negotiate the whole process and give them the time to carefully consider their decision. After this, the dispute is hopefully resolved. I don’t think that I necessarily need to make a decision in order for a mediation to be successful. Nor do I feel it necessary to explain my decisions when I make them. Everything is conducted transparently in front of witnesses from my ward. However, some people don’t accept my decision anyway as they are stubborn, even if I tell them that they are wrong. I tell those who don’t accept my voice to go to another place for a solution. I think people in my ward understand this mediation process as I have shared with them the knowledge I have gained of Interest-based Mediation (IBM), and taught them to treat people equally and without bias. Because if this, they are able to analyse for themselves which situation is right or wrong. In Myanmar, I don’t think everybody has fair and equal access to justice, as powerful people are always stronger than disadvantaged or minority groups. Often there is no justice. Because of this, I treat all disputing parties the same when I resolve a case, as I have a lead role in providing access to justice services to everyone and protecting the weaker populations. Every township should have a chance to attend Mercy Corps’ IBM training. I also want to attend this IBM training again soon. My community is very diverse, with Buddhists, Muslims, Hindus and Christians all living together in the same ward. Despite the ethnic and religious diversity, we don’t experience many inter-religious disputes. Instead, the disputes that take place in my ward are often related to drug consumption or social and financial issues. The disputes that are brought to me most are marital and financial disputes. Sometimes, these two types of disputes combine together to become one main root cause of conflict. Loan sharks only intend to issue one loan per household. However, sometimes both husband and wife will take out a loan without telling each other. When they both struggle to pay back the money, the arguments begin. As I mentioned, the use of drugs is a big problem. Most of the consumers are university students that come from Myawaddy Township. As the township is on the border with Thailand, it is very easy for them to get drugs, especially Yaba [methamphetamine]. In these cases, when the police receive information, find people carrying or consuming drugs, the substances are seized and arrests are made. I believe that I do need to make decisions for mediations to be successful. People rely on the decisions I make. That is why they come to my office. I have to identify the root causes of conflict and then make a decision about how to best address the issues. As people come to me for my decision-making, I feel that I don’t always need to explain my reasoning, but it does depend on the type of dispute in question. However, on the whole, I feel that most people are satisfied with my decision-making ability as I am able to get the different parties to reach an agreement. I could have a proper understanding of the boy’s background in an attempt to reconcile his relationship, and so that everybody can live in harmony. If I am not able to solve a dispute, I persuade both parties to follow the legal process, or I postpone the case to another day. If tension is really high, I will go to the disputants with officers from the relevant government department, but this doesn’t happen often. I don’t feel that I have a good understanding of justice service mechanisms as I have only been working as a Ward Administrator for one year. That is why I want to continue learning, so that I can try and get a better understanding of them. However, I think that there are some members of my community that do have some understanding of these mechanisms, particularly the ten and hundred household leaders, who have more experience on these issues than I do. When I am attempting to resolve a dispute, I always keep in mind that I have to treat all parties the same. According to my current position as Ward Administrator, I neither work for one organisation or one religion. I am here to provide a service to all of the people in my ward. From the IBM training provided by Mercy Corps, I expect to build upon my negotiation skills and legal awareness. With the tools and concepts shown to us, I aim to solve many more disputes in my ward.